Create realistic effects with this set of texture mats by Cake Star! Easy to use and very effective, these high quality tools are perfect for creating multiple textures that can add depth to cakes, cupcakes and biscuits. 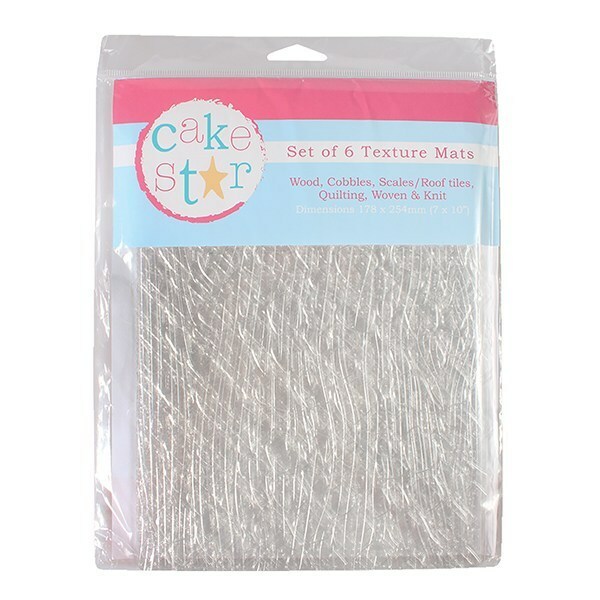 A great time saver for cake decorators of all skill levels. Double sided. Made from food grade clear plastic. 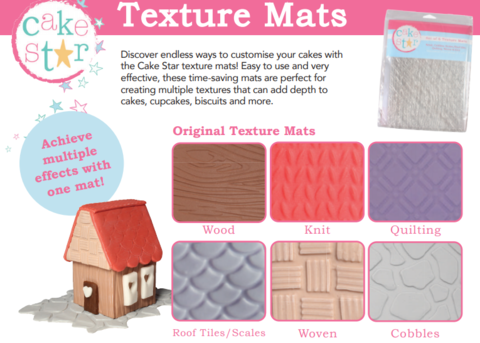 The set contains 6 textures: Wood, Knit, Woven, Quilt,Cobble and Scales.